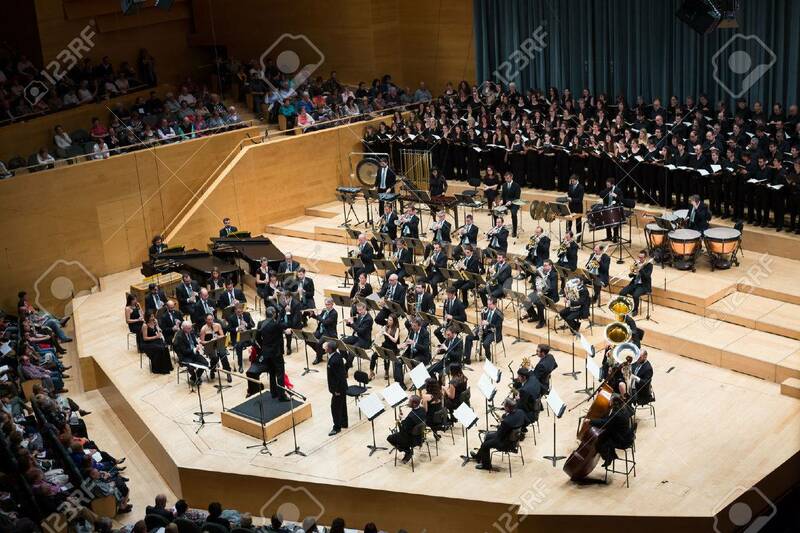 BARCELONA, SPAIN - NOVEMBER 08, 2015: Audience And Orchestra.. Stock Photo, Picture And Royalty Free Image. Image 50216422. Stock Photo - BARCELONA, SPAIN - NOVEMBER 08, 2015: Audience and orchestra at the concert Carmina Burana in music hall Auditori Banda municipal de Barcelona, Catalonia. BARCELONA, SPAIN - NOVEMBER 08, 2015: Audience and orchestra at the concert Carmina Burana in music hall Auditori Banda municipal de Barcelona, Catalonia.